To meet the shortage of skilled labors in the real estate sector, Amity University and RICS jointly launched the first realty institute. In collaboration with RICS, Amity University launches realty institute. Are you confused over your higher education? Do you find it difficult to select the apt course? If this is the situation for you, the situation is going to be more complicated. It is useless to stare at the increasing number of courses. Adding to all these courses, Amity University; in collaboration with RICS, has launched a wide range of courses related to real estate sector. Amity University’s realty institute will offer a vast number of academic degree programs related to real estate. While some of the programs are for two years, there are others for three years. BBA in Real Estate and Urban Infrastructure is for two years. MBA in Construction Project Management and MBA in Real Estate and Urban Infrastructure will be for two years. 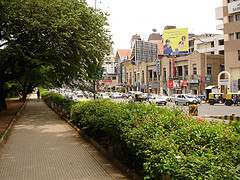 RICS School of Built Environment is located at Noida. RICS School of Built Environment will offer training and management development programs. The new courses are expected to address the shortage of skilled professionals in the construction sector. 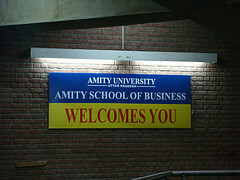 Amity University launches realty institute to offer real estate programs. The courses are launched with the support of the Ministry of Urban Development. School of Built Environment envisions and aims to bridge the gap of professional skills in the construction sector. Besides construction it also aims at real estate development, infrastructure and other services associated to them. Prof KT Ravindran has been appointed as the Dean of RICS School of Built Environment. He has experience spanning over three decades in the field of education. He has served the School of Planning and Architecture as its dean. His contribution to the Delhi Urban Arts Commission as its chairman is also highly commendable. The Built Environment institute was inaugurated by Union urban development minister Kamal Nath. While addressing the audience he said that this endeavor by the Amity University is a benchmark in the field of education. This entry was posted in Real Estate News and tagged Amity University, BBA in Real Estate and Urban Infrastructure, Delhi Urban Arts Commission, MBA in Construction Project Management, MBA in Real Estate and Urban Infrastructure, Prof KT Ravindran, RICS, RICS School of Built Environment by designer. Bookmark the permalink.